Sadly they find the timber in our homes equally as attractive as any dead tree and as such are extremely destructive pests, creating costly damage. Research has shown that they cause more damage to Australian homes then all combined natural disasters yet most homeowners don’t take any precautionary measures against them. 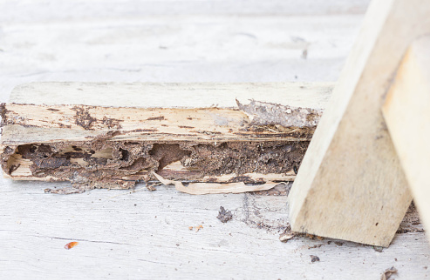 According to CSIRO, 1 in 3 homes will be effected by termites across the lifespan of the home. Luckily, Dawson’s are here to help. It is best to consider Termite protection during the construction process. This is not always possible which is why Dawson’s offer solutions to both new and existing homes. There are a range of physical and chemical barriers available to protect your investment. What can you do to prevent the onslaught of a termite invasion? 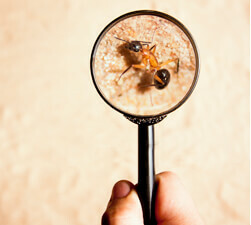 Make sure you have yearly termite inspections carried out to limit any damage caused if not detected in time. Do not store any timber within close proximity to your home. Timber should not be in contact with the ground. Replace any landscaping timbers and/or timber retaining walls with rock, masonry, or other non-timber products. Nothing will stop Termites and even concrete and steel can be affected. Protecting your home should be a priority. We would recommend starting with an inspection which will then determine the best treatment for your home. The most effective treatment is to protect your home with a full chemical treatment to the Australian Standard 3660 - this creates a treated zone under and around your home to stop termites entering. If you do find signs of a termite infestation in your home, do not attempt to eradicate yourself as you can make the issue worse. The only way to deal with this issue thoroughly is to call in the pest professionals at Dawson’s Australia.